Greek Transcription » Audio Transcription Services - High quality audio transcription services. Do you need a top-notch Greek transcription and translation service that is fast, accurate, and inexpensive? People are raving about the transcription and translation services offered by AudioTranscription.Org. …and there is a very good reason as to why: AudioTranscription.Org, an audio transcription company in San Francisco, is borrowing from its years of experience as a top-tier English audio transcription firm and is now offering Greek transcription and translation as well. In fact, because of a major partnership with a leading transcription firm, we can now transcribe in just about any language you desire. We can also translate your audio and video files to and from almost any language you prefer. Like always, we are upfront about our prices and will give you an accurate quote on your Greek transcription project very quickly. That way, you’ll know exactly how much your transcripts will cost and there won’t be any surprises or hidden fees. And, you are still guaranteed to be completely satisfied with your transcripts or we will redo them at no additional charge. Like our English transcription services, you can expect your transcripts to be +98% accurate because our team of professional proofreaders carefully reviews every Greek transcription and translation project we complete. Your transcripts will not contain spelling or formatting errors. You want your transcripts completed quickly, accurately, and at the lowest cost possible and AudioTranscription.Org will give you exactly that. We will also give you a free sample of our transcription services so you can see for yourself what you can expect when your audio and video files are transcribed and translated by our Greek experts. Contact us now to get your free price quote and free transcription sample. 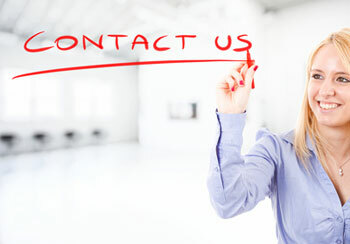 Our friendly account managers will also be happy to answer any questions you have. When it comes to fast, accurate Greek transcription and translation services that won’t break the bank, AudioTranscription.Org is the only name you need to know.